One of my favorite Chris Rock lines goes something like this “If you have a daughter, as her father your only goal is to keep her off the pole.” I love it, and am really glad that I don’t have to worry about Zach pursuing that line of busines….at least I thought I didn’t have too until I saw how he really took to this pole at a resturant. 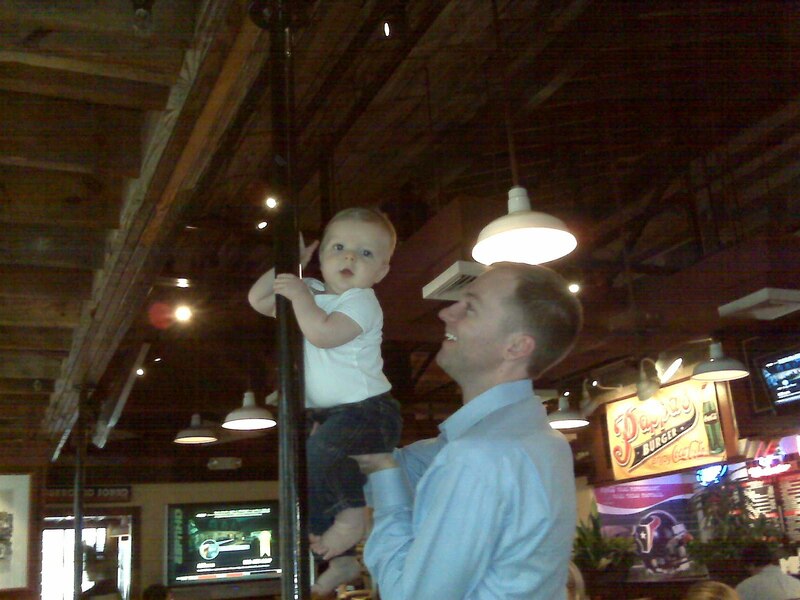 He wrapped those chubby hands and legs around the pole and attempted to shimmy on up. This could be a bad sign. Just wanted to let you know that I'm a friend of Lauren's and I love following your blog! I have a 1-month old so it is good to see what's coming.